This magnificent crystal award offers star quality at a down-to-earth price. Featuring a crystal star set on a tapered, geometric crystal column with a square shaped amber crystal base. 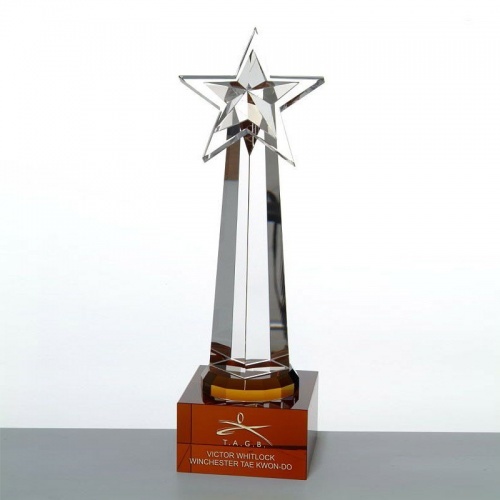 This eye-catching crystal awards trophy is perfect for a wide range of achievements, from corporate awards to honours to sporting achievement awards. This crystal award is suitable for engraving on the amber base. The engraving area measures 35mm x 65mm. This award is supplied in a blue lined presentation box.